Though cruel invaders plague the kingdom, the heir to the land dares to venture forth to protect her people. 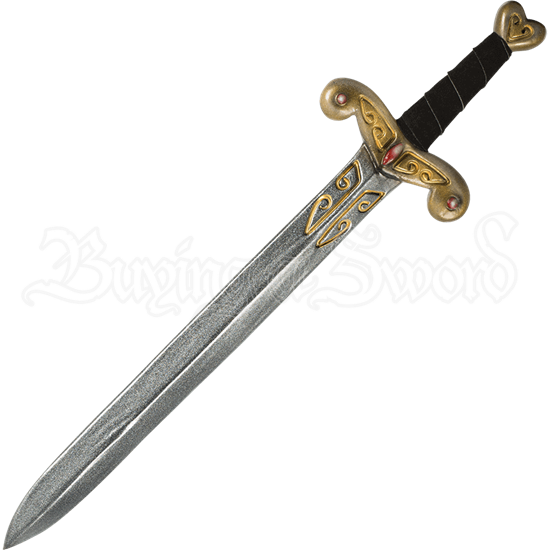 The Princess LARP Sword features an elegant design with golden engravings and precious gems, a look suitable for royalty. The LARP short sword has a comfortable, split leather handle and a heart-shaped pommel. A fuller runs down the blade, while gold runic details appear near the hilt. Durable, closed cell foam encases the fiberglass core, and a strong latex coating finishes the piece. 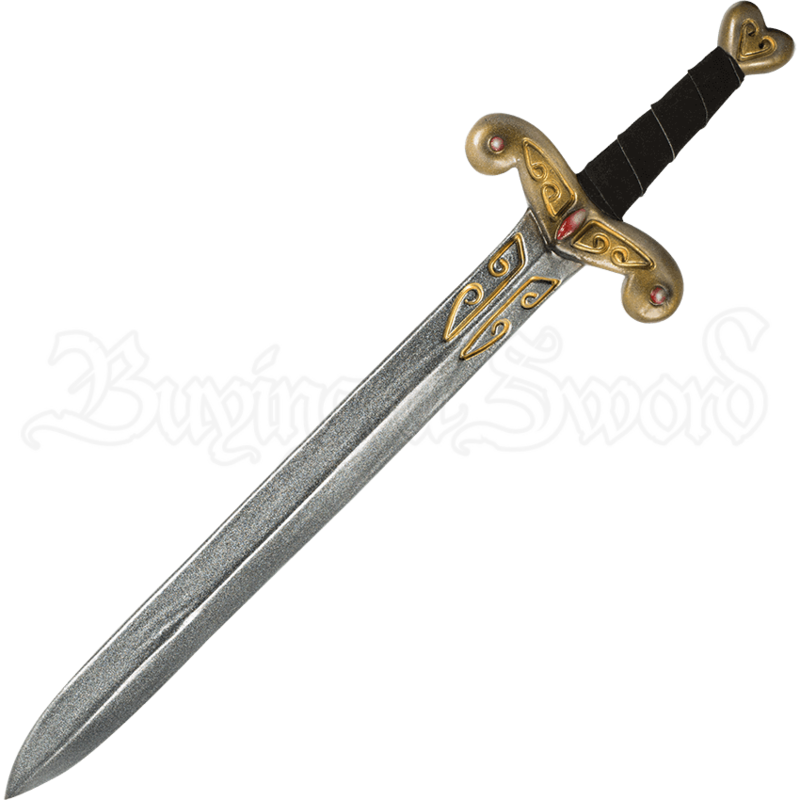 Whether your business is running the realm, defending your subjects, or just looking good, this role-playing sword is the right choice.